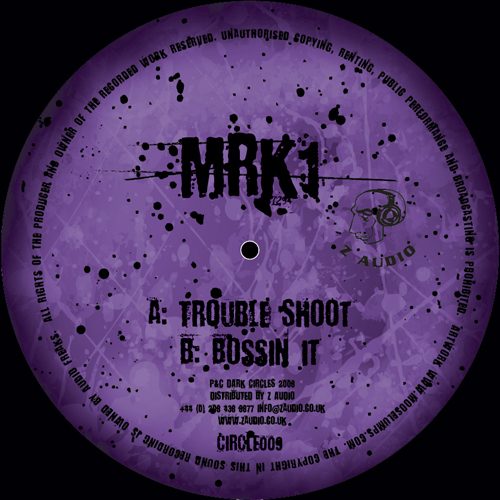 Rerouting to the Dark Circles imprint, MRK1 delivers the payload of 'Trouble Shoot' and the heavy 'Bussin It'. 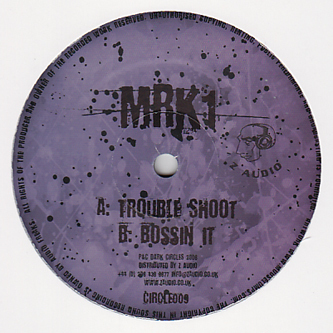 The A-side, 'Trouble Shoot' drops gutter mid-range synths and snapping halfstep riddim mechanics to keep the ravers off their faces while the much better 'Bussin It' boosts off on rolling 4/4s with hype stabs and cheeky vocals. One for the Kromestar heads!